A movie recently filmed in Stephens County will debut with an exclusive premiere here in Toccoa. “Legal Action,” the movie which filmed in Toccoa and Stephens County last year, will premiere this week at the Ritz Theatre at the Schaefer Center in downtown Toccoa. There will be four showings of the film at the Schaefer Center. Tonight and tomorrow, the movie will start at 7 p.m. and then at 3 p.m. on Saturday and Sunday. Tickets are $7 and are available at the Toccoa-Stephens County Chamber of Commerce Office and Welcome Center, which is located in the Historic Train Depot. The Chamber’s business hours are from 8:30 a.m. to 5 p.m. Monday through Friday. Toccoa-Stephens County Chamber of Commerce President Julie Paysen said people should buy tickets in advance because the response to the movie has already been tremendous. Any tickets not sold in advance for each showing will be available at the door on the night of the show; however, Paysen says that tickets are expected to sell out before the shows. Produced by INSP Films, “Legal Action” is a gripping crime drama with frequent hints of romance and humor. The movie stars Eric Close, Tanya Clarke, and Tommy Flanagan. 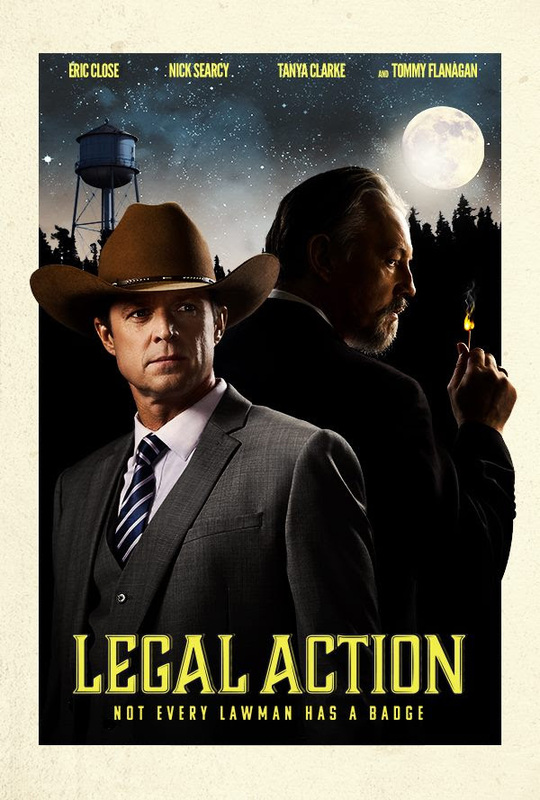 “Legal Action” was filmed at various locations in the area, such as the Historical County Courthouse and in parts of downtown Toccoa as well as other parts of Stephens County. Paysen said she is excited to see Toccoa featured so prominently.